As a fifth generation vintner and artist, Darcie Kent has both paint and wine running through her veins. 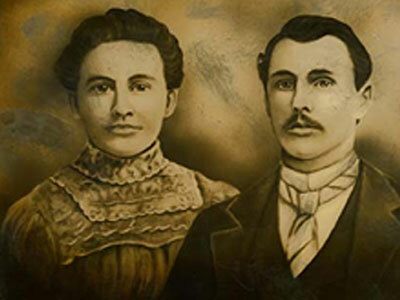 Darcie’s great, great grandfather, Fritz R. Ruegsegger, came to America with his family from Switzerland in 1875 to pursue a career in winemaking. 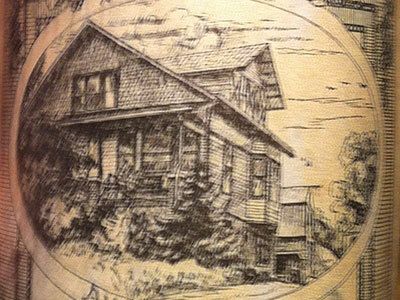 In 1883, Fritz’s son and Darcie’s great grandfather, Christian Ruegsegger started his own winery, the Alpine Winery, in St. Joseph, Missouri, which held bond #62 in the United States. Along with managing the vineyards and all winemaking tasks, Christian hand painted his own wine labels. The Alpine Winery bottled its last wine in 1945, when hard times following the repeal of Prohibition forced the family to shut down operations. Darcie Kent now proudly carries on the family tradition as a fifth generation vintner and artist for the winery that bears her name, Darcie Kent Vineyards. Like her great grandfather before her, Darcie uses her original art for her wine labels and strives to capture the unique spirit of each vineyard and its owner, in her breathtakingly beautiful labels that grace each bottle. 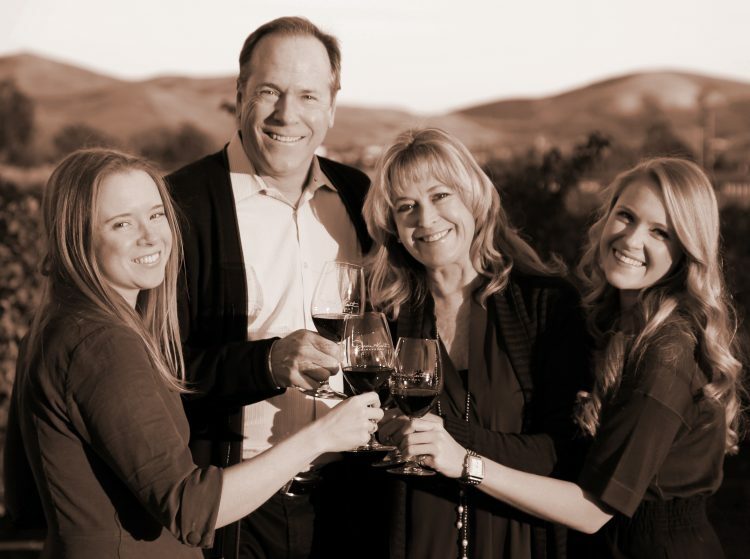 Along with her husband David and her two daughters Kailyn and Amanda (sixth generation), Darcie Kent is committed to combining Livermore Valley terroir along with her artistry and passion to forge and sustain a world-class, family owned estate winery. Established in 1996, Darcie Kent Vineyards is a family-owned & operated winery in the Livermore Valley located East of the San Francisco Bay. Fifth Generation vintner/artist Darcie Kent and Hungarian-born winemaker Julian Halasz work in unison to handcraft small lot, single vineyard wines from sustainably farmed, family-owned vineyards in Monterey and the Livermore Valley. In addition to the wines sold at our winery, Darcie Kent Vineyards has been gradually expanding to restaurants nationwide for the past three years so be sure to ask for Darcie Kent wines at your favorite restaurants! 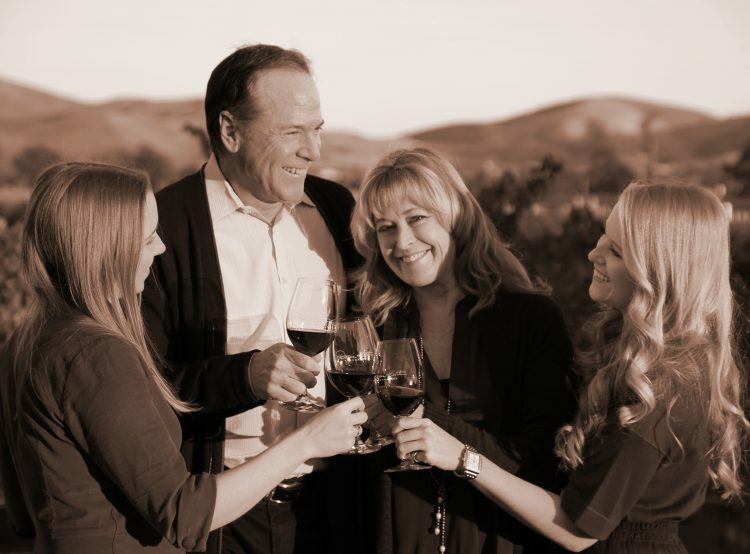 In early 2013, Darcie and her family acquired the Estate Winery and Vineyard formerly occupied by Cedar Mountain Winery, and began a state of the art renovation. Now, all of us at Darcie Kent Vineyards are excited to invite you to visit our new home at 7000 Tesla Road in the scenic Livermore Valley. Come visit us and celebrate the union of Wine, Art and the Natural World!